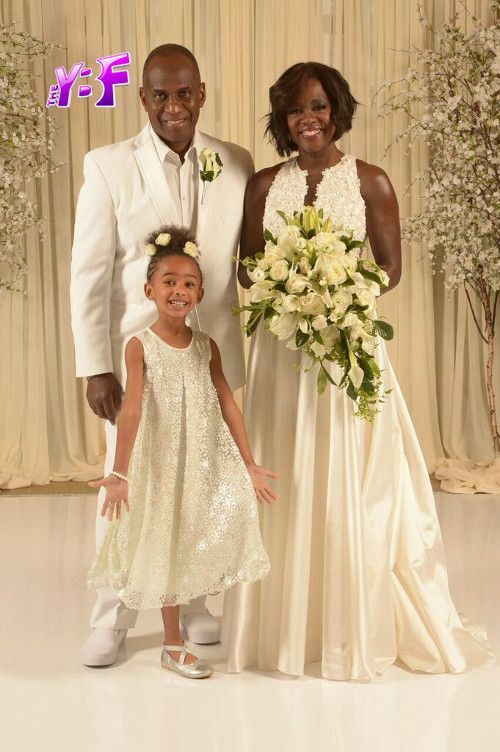 Viola Davis and her husband Julius Tennon said “I Do” again for their third vow exchange. Peep their winter white ceremony and flicks from behind-the-scenes and inside the ceremony inside…. YAS to this gorgeous dress! 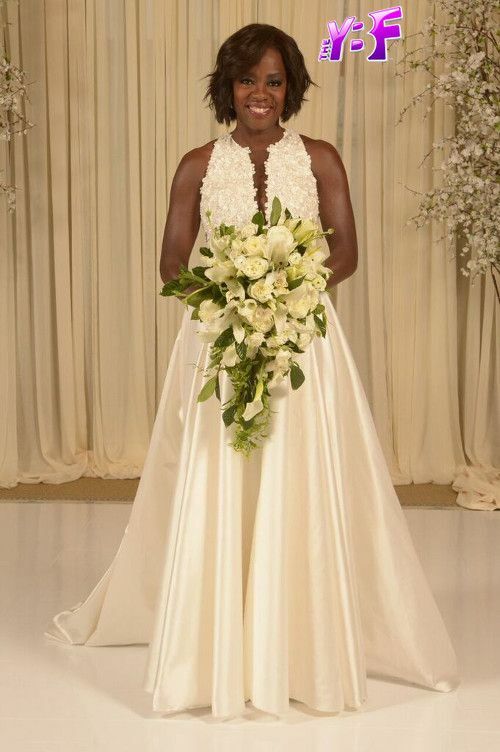 “How To Get Away With Murder” star Viola Davis and her husband Julius Tennon renewed their vows in a very intimate ceremony over Valentine’s Day weekend. How perfect! The EMMY winner looked absolutely amazing in a silk custom Carmen Marc Valvo gown embroidered with geranium-like petals and glass bugle beads. 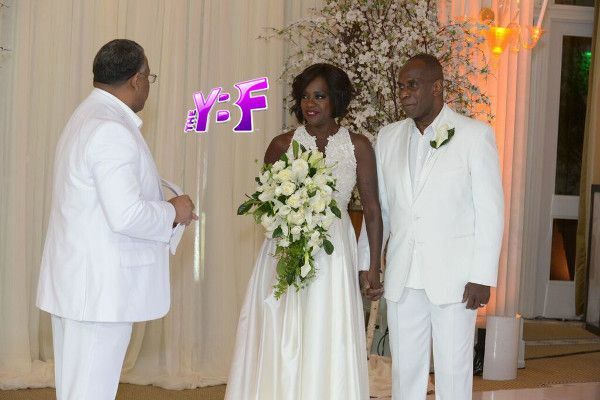 This is the third vow exchange for the 50-year-old actress and her 62-year-old husband. The couple first wed in 2003 where she wore a simple skirt from Express. 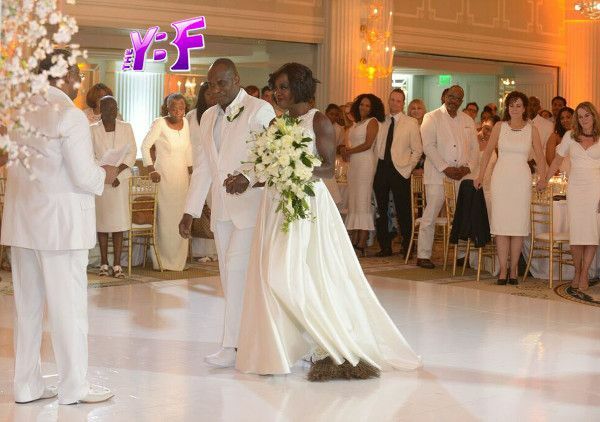 A few years later, Viola and Julius renewed their vows and here they are some years later doing it all over again. 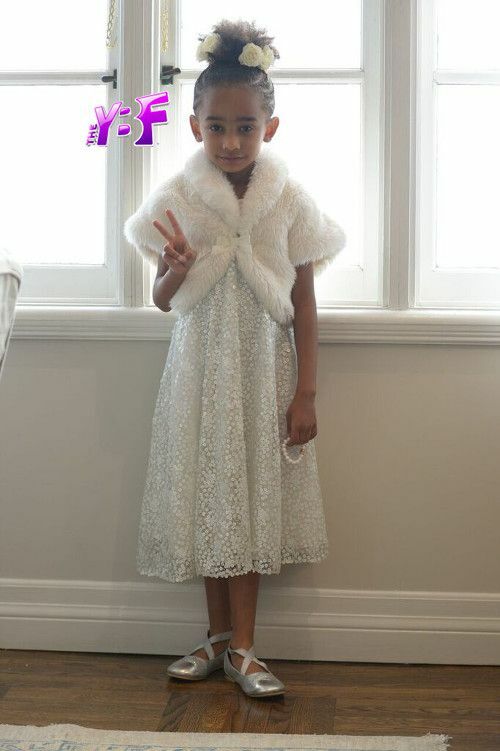 Viola and Julius’ adorable 5-year-old daughter Genesis modeled her own custom Carmen Marc Valvo look before the ceremony. 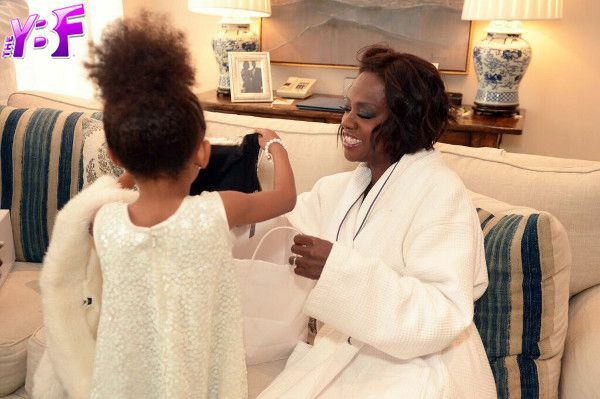 Viola also had her "HTGAWM" co-stars there, and she gave them inspirational passages to read out loud during the ceremony. 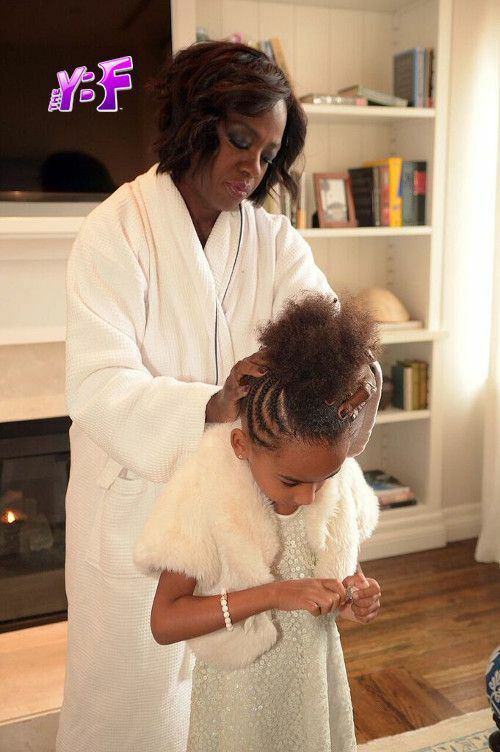 Viola was captured fixing her daughter's hair before she walked down the aisle to celebrate the sweet occasion. 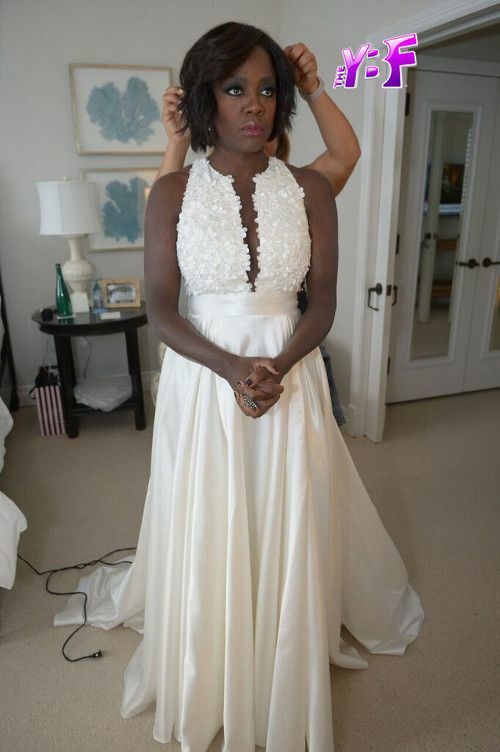 There were plenty of people on hand to make sure the "HTGAWM" starlet looked her absolute best. 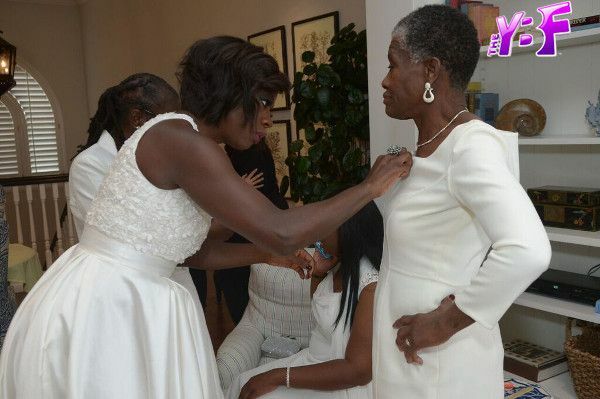 And after getting all dolled up, Viola helped put the finishing touches on her wedding party. It was time to party! 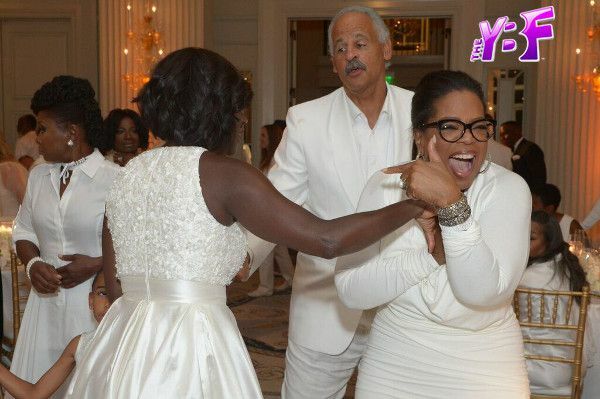 The bride danced it up with media mogul Oprah and her longtime partner Stedman Graham. Oprah's bestie Gayle King was also in the mix.